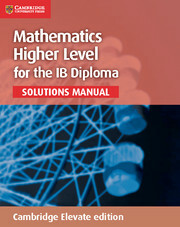 This is a series of fully worked solutions manuals for Mathematics Standard Level for the IB Diploma and Mathematics Higher Level for the IB Diploma. 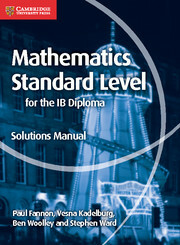 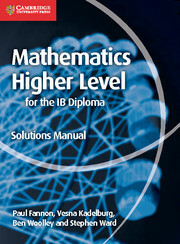 This Cambridge Elevate Solutions Manual for Mathematics for the IB Diploma Higher Level contains approximately 1250 fully worked solutions to the colour-coded examination-style questions contained in the coursebook. 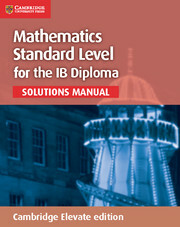 The solutions detail one method of solving the problem, with comments to give additional explanations where required.